We will return after the first of the year with a new series of posts relating to yield enhancement. The new series will present highly useful information and practices that will help everyone connected with student recruitment (even those who don’t believe they are connected to student recruitment). In a study we released earlier this year called “The Value Proposition” we found that a student’s excitement about attending a specific college was a more powerful driver of enrollment than either cost or the perceived quality of the college. Feelings impact yield. We will soon be releasing the findings from a subsequent study, “The Excitement Factor” that focuses solely on how excitement is created. Our deep dive on the topic provides even stronger proof that yield is so closely associated with student feelings. If you would like a copy of the full report as soon as it is released you can CLICK HERE to send us an e-mail to put you on the distribution list. One-third of college bound students say that “excitement about attending” had more influence over their college selection than did facts about the college. Four in ten students replaced their “first choice” college with another school at some point in their college shopping process and over 25% said it was because another school excited them more. Over 40% of students say they experienced an “aha moment” – an exact moment in time and place where they had a rush of excitement or gut feel that a particular college was the right one for them. Thousands of students in the study described things that colleges do to try to generate excitement that, unfortunately, have the opposite effect. When asked if colleges had taken a personal interest in them at any point in the recruiting process, two-thirds said “No” or “Don’t Remember” (in our view “Don’t remember” is the same as “No”). These findings relate to your ability to yield the volume and types of students you desire. When we launch our new Yield Enhancement Series we’ll examine a number of ways you can control the interactions you have with prospective students, how you can measure the quality and impact of the experiences they’ve had (and will have) with you, the role counselors play in improving yield, the role others play, and much more. 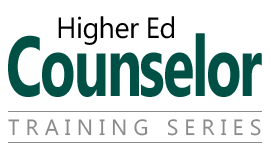 The Counselor Training Series: Are You Adding Stress for Your Prospective Students? Deciding which college to attend is a stressful process for many students and parents. Who would think that a college would ADD anxiety to an inherently stressful process? No college would do so intentionally, but as an industry, we do it all the time. Are you ready for some good news? Since these things happen more than you can imagine, it gives us an opportunity to differentiate ourselves by doing the opposite. You can differentiate your institution by RELIEVING, rather than ADDING, stress to the college selection process. Communicate well. They need information that’s relevant to THEM. These may seem obvious, but it’s amazing how many colleges fail to practice these proven behaviors that will serve a prospective student and parent well. And, it’s not isolated to the admissions office. It extends to every department on campus. So, think about the pre-enrollment service you are giving. If you make it better – campus-wide – you’ll be more successful in your enrollment efforts. Continue the conversation on Twitter @LongmireCo. For more information about Longmire and Company’s Interactive Counselor Training Program, click here. Cost, perceived quality of the institution, and his or her excitement about attending. Most students consider each of these factors important but the key question is, which factor is the most important? So I ask you, which one of these factors do you think is most predictive of enrollment? If you said excitement, you’re right. The single factor that is most strongly correlated to likelihood of enrollment is the student’s excitement about attending. It’s more strongly correlated to enrollment – by a factor of two – than either cost or perceived quality of the college. How many of us have bought something that our rational brain was telling us we shouldn’t buy because it’s too expensive? But we bought it anyway because we just had to have it. The excitement of owning it, using it, or wearing it was the most powerful force that drove our action to buy. The same holds true for students in selecting a college. Research shows that when students are faced with a choice of colleges that they perceive to be generally alike (believe me this happens more frequently than we’d like to admit), they will choose the one they are most excited about. They will naturally find ways to rationalize away a higher cost or lower perceived quality. 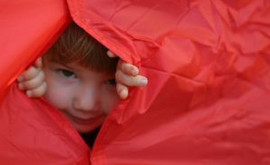 They uncover what the student wants and how they will feel if they get it. They put prospective students in the environments and with the people who are most likely to create that spark of excitement, that “aha” moment when the student not only knows but FEELS that they have found their college. So, when you’re recruiting students, don’t just find out what they want. Find out what will make them feel that your college is the right choice for them. Find out what will excite them. Recently, over 40 colleges participated in a comprehensive national co-sponsored study on this very topic conducted by Longmire and Company. The results of the study have yielded clear findings on how student excitement develops about a particular college and the role that the college plays in its development. If you would like a copy of the full report as soon as it is released you can CLICK HERE to send us an e-mail to put you on the distribution list. I promise you will find it enlightening and extremely valuable. We have found that counselors are inherently motivated to find out everything they can about a prospective student. But the funny thing is, even very good counselors often get in their own way. They hold themselves back from asking the kinds of questions that will yield insight into the student’s emotions and fears and hidden factors that will influence the college selection decision. Why? Because many counselors are fearful of being intrusive. And the fear is completely manufactured. While those may sound like off-the-wall questions, the most successful counselors ask them. They have learned that the answers provide a window into the student as a unique individual who is about ready to make one of the most important decisions of his or her life. They know that the information shared will allow them to understand how the student’s feelings, emotions and perceptions will play into his or her ultimate college selection. We encourage you to step out of your comfort zone and ask questions of students and parents that you have never asked before. Don’t worry that those questions will be too intrusive. We have done years of research on this topic, talking with hundreds of thousands of college-bound students and their parents, and have never found these questions to be considered invasive. We do, however, hear frequent complaints from students that the counselor did not attempt to get to know them better. Don’t get in your own way. Ask penetrating questions and your prospective students will know that you truly want to get to know them more as a person. Karen Full is a highly-respected higher education professional who has held positions in admissions and enrollment management at several institutions in the Midwest and Florida.With her vast experience working with large and small, public and private colleges, Karen brings a valuable perspective to her role as an Enrollment Strategist at Longmire and Company. Call Karen at 913/492.1265 x.711 or email her at kfull@longmire-co.com. Follow Karen on Twitter @KarenAFull.